Finetuned default AI traffic car sounds. Dropped updates for ETS2 1.26 game version. – any AI traffic density/behavior mods (e.g. 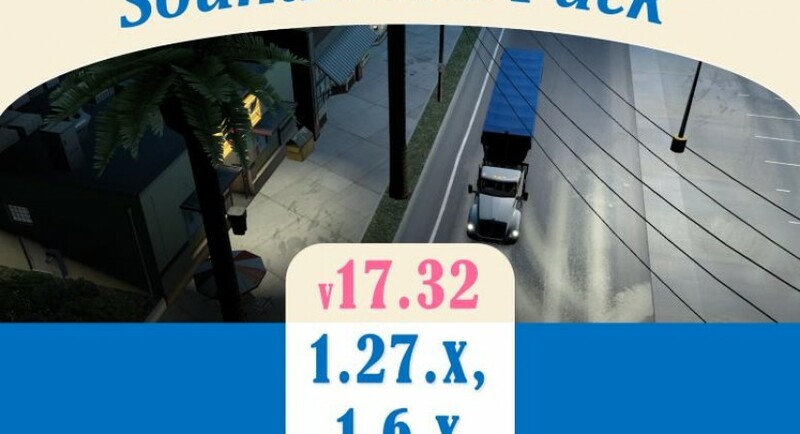 Piva’s traffic density mod)! * Retarder sound changed to real retarder sound. * Variety of engine sounds for several vehicles (e.g. motorbike sounds for motorbikes) in various AI Traffic mods and in stock trucks from the original game. * ETS2 1.27.1 and ATS 1.6.1. No errors in game log. Must have high priority in Mod Manager.